Five simply blissful cocktails - you can actually make at home! Date night. Girls’ night. TV dinner for one. Regardless of what your plans may be this Valentine’s Day, we’re all for a little something to sweeten up the night. 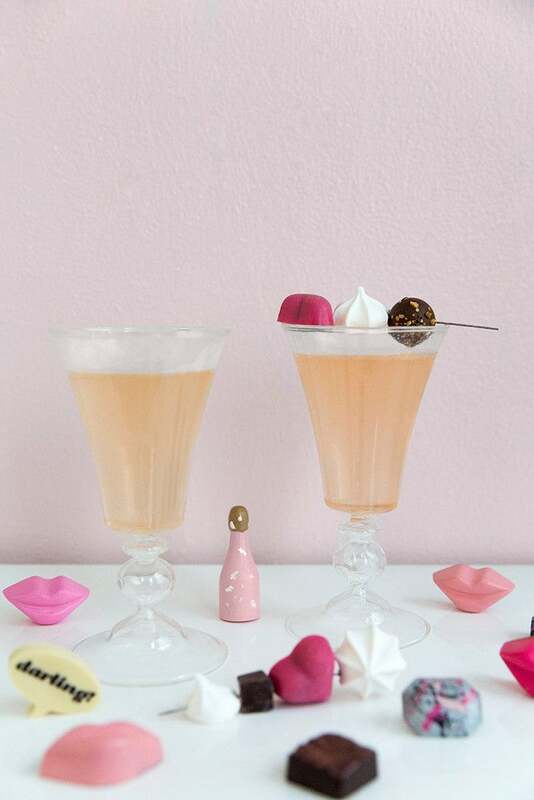 Enter five simply blissful cocktails (you can actually make at home) to be devoured with a box of fine chocolates. Mix all the ingredients in a glass, give a light stir and garnish with the orange slice and mint. Shake the ingredients and pour into a chilled glass to serve. Garnish with the lime and serve. Shake all the ingredients and pour into a glass, garnish with the grapefruit slice and thyme. Combine the hibiscus tea, pineapple juice, and rum in a shaker and mix. In a chilled glass, pour the lemon juice over the ice, and add in the tea mixture. Stir, garnish with the thyme, and serve. Combine the grapefruit juice, sugar, and ice in a shaker and strain into a chilled glass. Top with the champagne and serve as is or with a skewer of your favorite treats!